Our supplier of premiere, quality stone paver products and materials, Belgard, holds an annual Project Excellence Awards event in Pinehurst, North Carolina (yes, there is some golf involved). 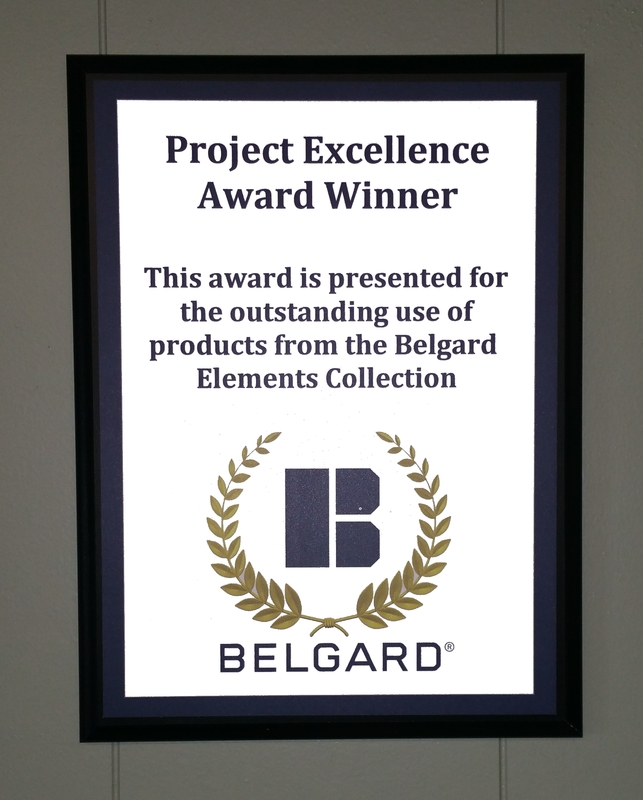 This year, our own Keith Harvey attended to accept the winner’s plaque on the company’s behalf in Belgard’s Elements Collection competition. 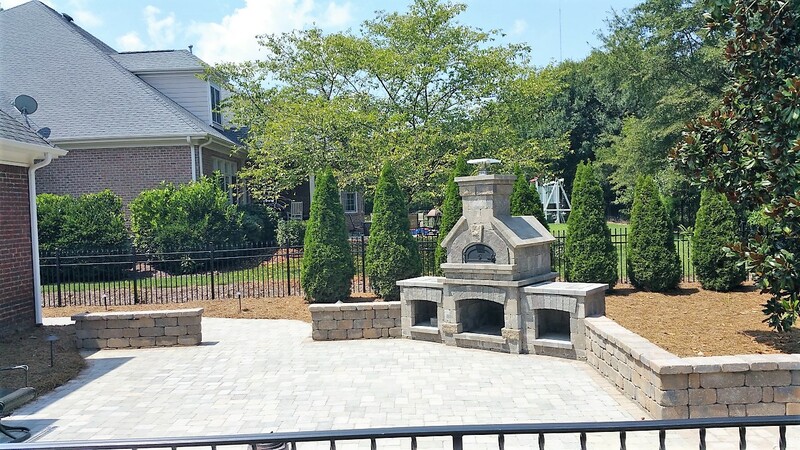 The element in question is the Brookstone Slate Brighton Series Fireplace, Brick Oven, and two matching wood boxes that we incorporated into an expansive Dublin Fossil Beige stone patio and Colonial Castle Manor Grana sitting wall . Here is the original post of all the work we did for this particular customer. A hearty thank you to Belgard for recognizing our work, and congratulations to our hardworking crews for crafting this (latest) example of excellence!